Stephen John Cramer loved life. He enjoyed every day and always had a huge smile on his face. He loved his family and his career, loved to travel and loved everything related to transportation. He joked he lived the movie “Planes, Trains and Automobiles”. Steve travelled to all 50 states and saw much of the world making it as far as Mauritius and Johannesburg, South Africa. He visited a new airport every year for the last two decades and his game room shows his love of aviation with airplane seats, a door from a small plane and die cast airplanes. His 55th birthday was celebrated in Costa Rica last November and his first cruise was planned this year to Honduras. He had begun planning a trip to Sweden in the near future. Steve was born in Danville, Illinois to John and Donna Avery Cramer Nov. 10, 1961. He was their oldest son and came by his love of travel naturally. He came from a long line of navigators and explorers and his father was a navigator in the Air Force. He attended kindergartens in two states and continued to move often for his father’s job after his dad left the military. 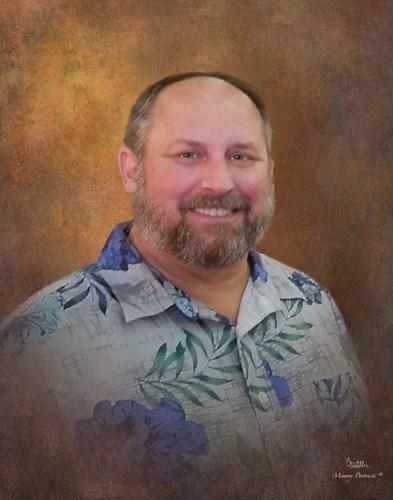 Steve put himself through college classes at Richland College and moved from construction and manufacturing jobs to the world of IT where he found a language he spoke fluently – ERP systems. He found his work home at Johnson & Johnson and was so proud of his career. He loved his work and his company and recently celebrated 10 years there. He passed away July 4, 2017. Steve is survived by his true love and travel partner Amy Chennault, his father John Cramer, brother Robert Cramer, step-daughter Stefanie Valenzuela and a huge group of people who loved him including Amy’s family. He will be missed by all of us every day and we are so thankful he was in our lives. A memorial service will be held at First United Methodist Church in The Colony on Tuesday, July 11, 2017 at 10:00 am. Please share your memories of Stephen John.